To be honest with you all, we've been pretty boring this month. At the beginning of the month we travelled to Ipswich to go and see my husband's Dad for his yearly BBQ! We love his yearly BBQ he goes all out and invites all of the family and this year my husband's Nanna travelled all the way from Dorset so we could spend some time with her. While we were there we also got the chance to catch up with my husband's brother, wife and their little boy and not forgetting the baby bump. She should be arriving in a couple of weeks and we are all so excited. I'm not too sure if I have mentioned it a few times, haha. But our little lady is off to nursery this September which feels so strange. It feels bittersweet. I know that this is something that she really wants but at the same time I have to face up to the fact that she is no longer a baby and I know it will feel like I have lost a limb. So with that we decided to beat all the hustle and bustle of the school uniform shop and head out early one Sunday and did most of it in one go, apart from shoes! But I have been told that this needs a whole day of dedication! I have been feeling super grateful for my blog this month. Not everyone gets the chance to do what we do and I am certainly feeling grateful for my little ole blog. I am beginning to get in more and more opportunities to work with some amazing companies and a sponsored post or two. For me, the best part of the month was when a my post about struggling to make mum friends published. I have had nothing but positive and encouraging words about the post, especially a certain lovely Gayleen from Tiny Toes and Big Adventures so please and go check her out. 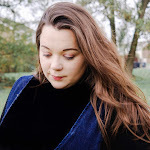 I cannot tell you how supportive she has been to me since the post went live, it's so lovely that blogging has opened up so many new friendships for me. I have just about managed 20 posts this month, which is shame. I was hoping to beat the previous month. I have been able to work with some of the most fantastic brands including; Pure Potions, My Name Tags, and Candles Just For You just to name a few. In addition to this I have really been trying to up my game in the whole blog photography and have been asked by more brands if they could use my photographs for their own website! Being Mrs Lynch - Do You Speak to the Person Sitting Along in Toddler Group? Pickle and Poppet - You Judged me and It's Not Ok! 10 comments on "MONTHLY ROUNDUP | August"
Lovely post. I keep a gratitude journal and I love looking back over my month and reminding myself how blessed I am! Sounds like a lovely month- even if the weather was pants! Hope nursery goes well for her. Such a big step for you both! Good luck! August has flown by for me and september on my calendar looks like another busy month! Lovely post and fab news on the brands and sponsored post opportunities. I really want to work on my photography this month too. Looks like you've had a great month. I hope nursery goes well. I love that you include a spread the blog love section too. The photography is beautiful - I especially love the marble flag lay! How exciting that your new niece is arriving shortly! Well done you on the blog work! Sounds like you've had a great month in that way! Good luck with nursery, it's always an emotional time! Ah, thank you for including me. I have to agree that your photos are lovely, and well done on a great month, you work so hard you deserve it!